This is the high quality Hina dolls. 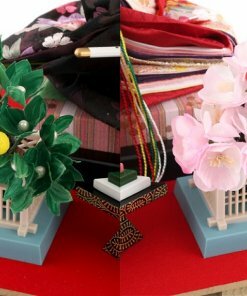 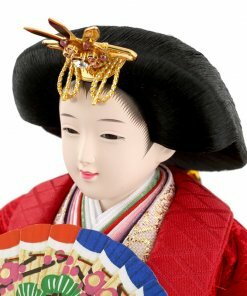 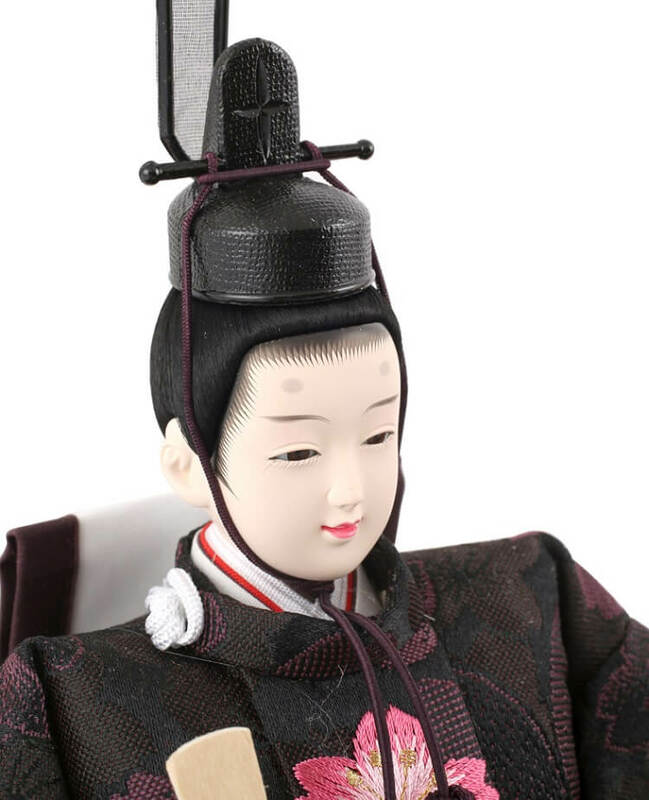 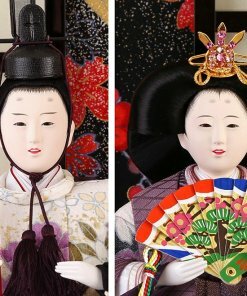 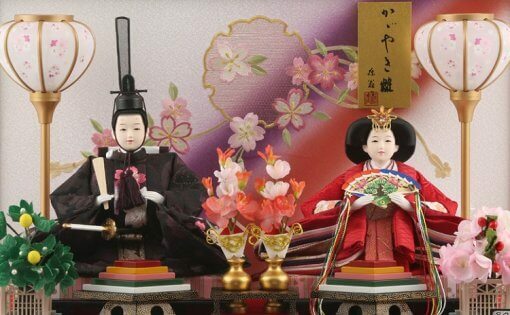 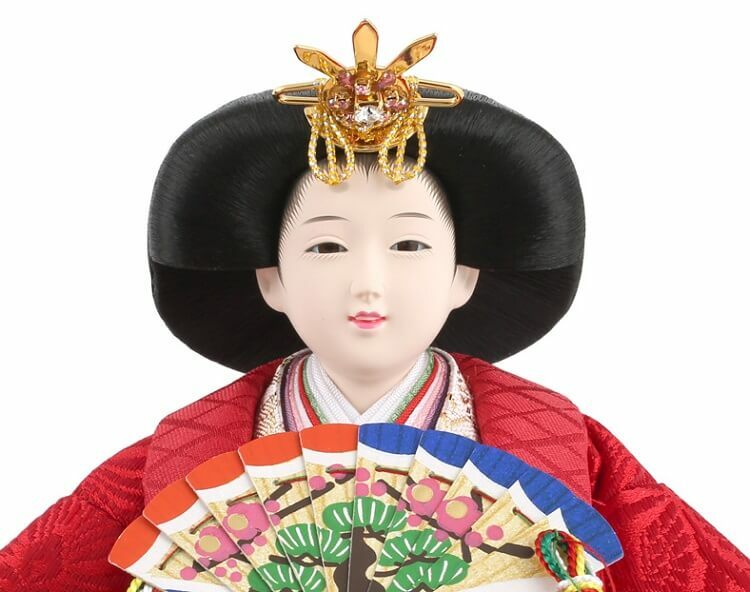 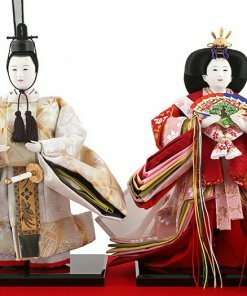 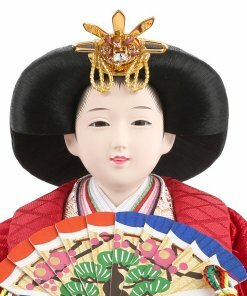 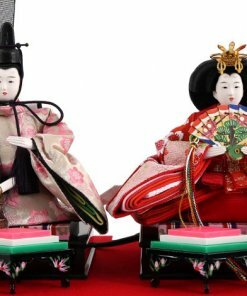 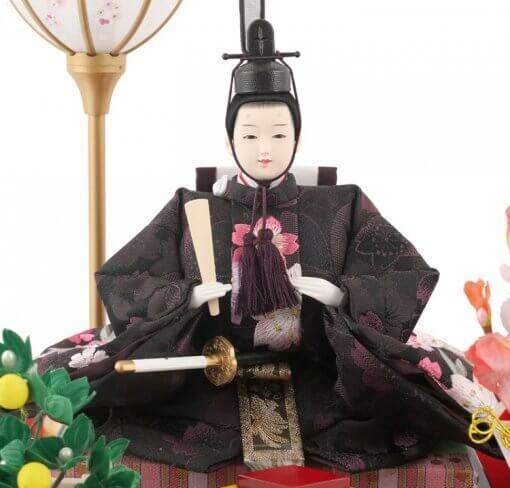 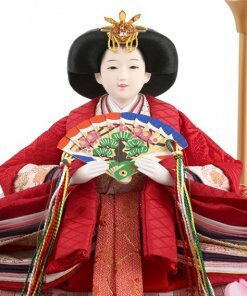 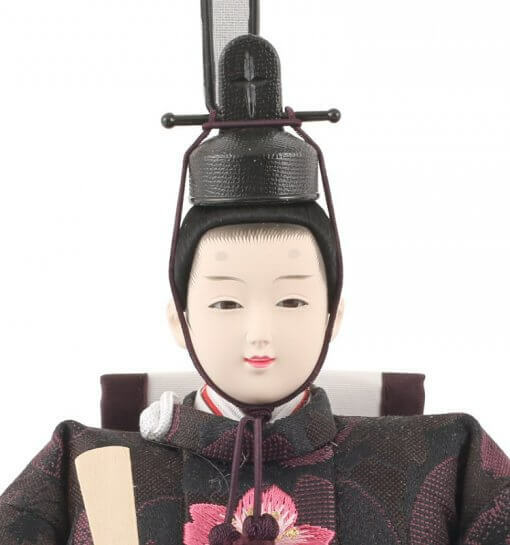 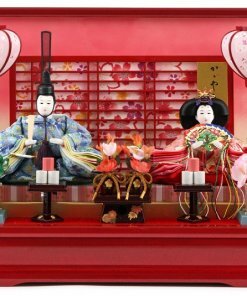 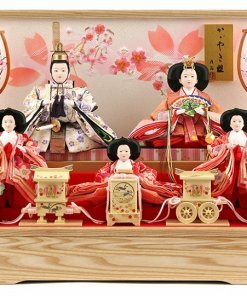 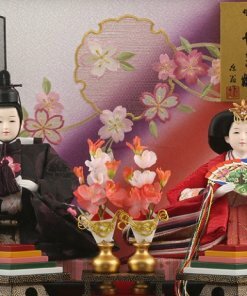 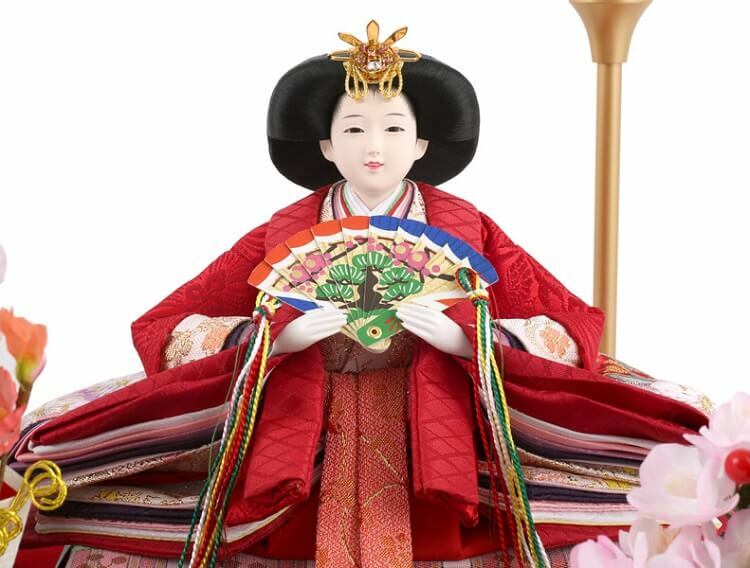 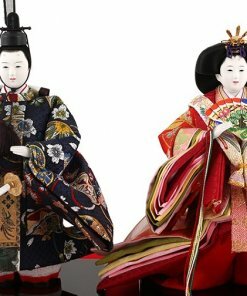 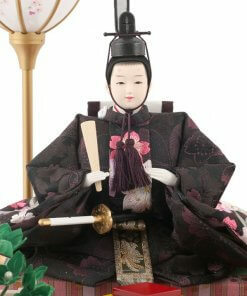 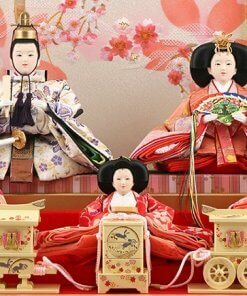 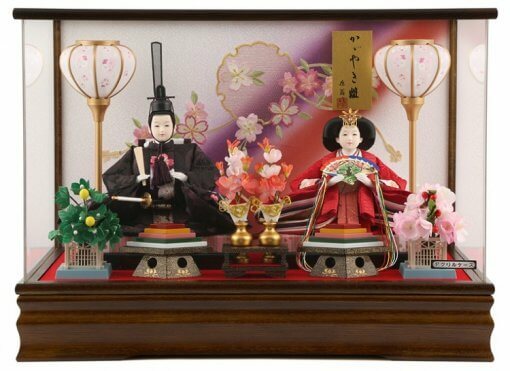 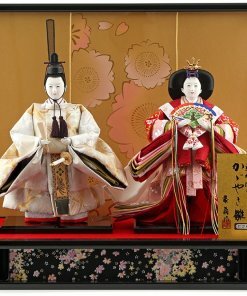 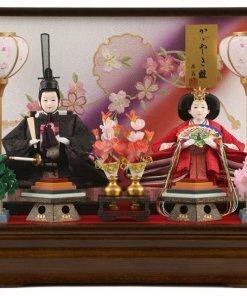 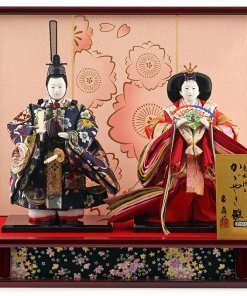 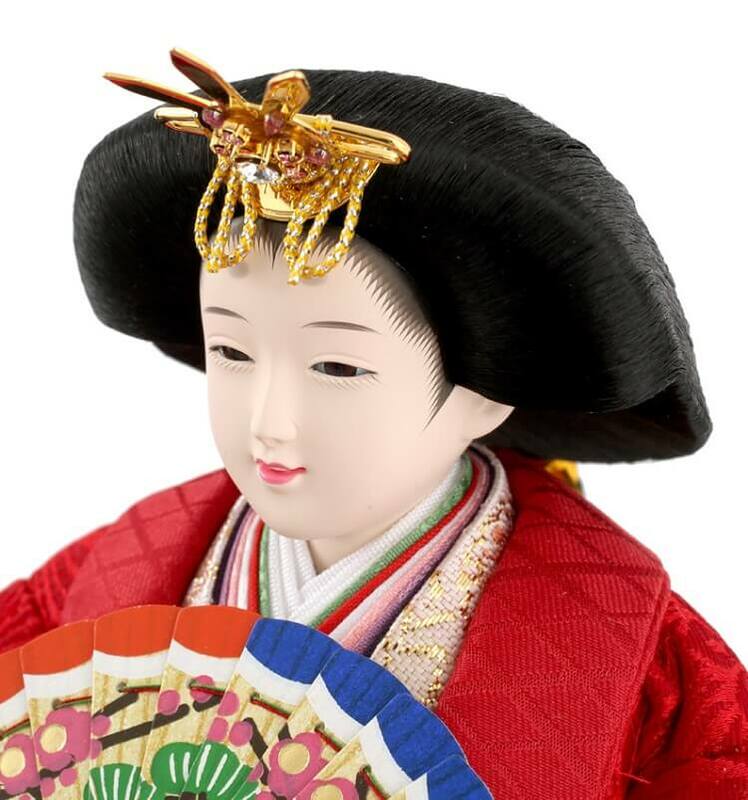 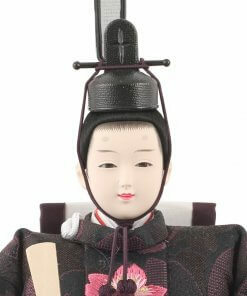 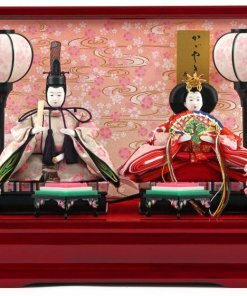 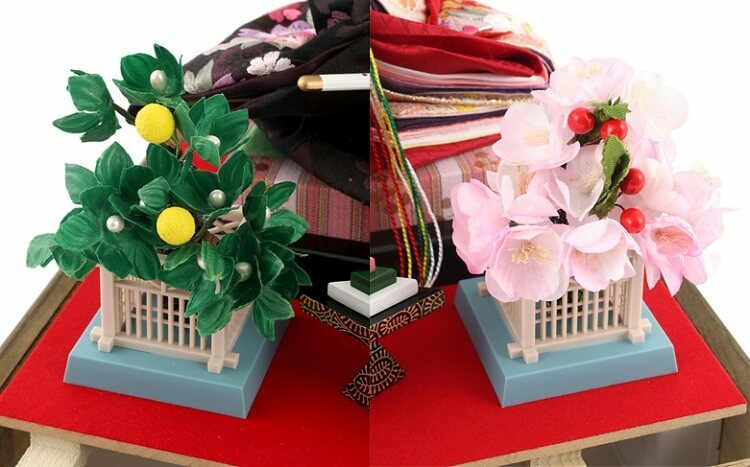 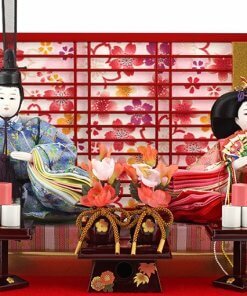 Traditional style pair dolls (the emperor and the empress dolls) come in a acrylic & zelkova wood case. 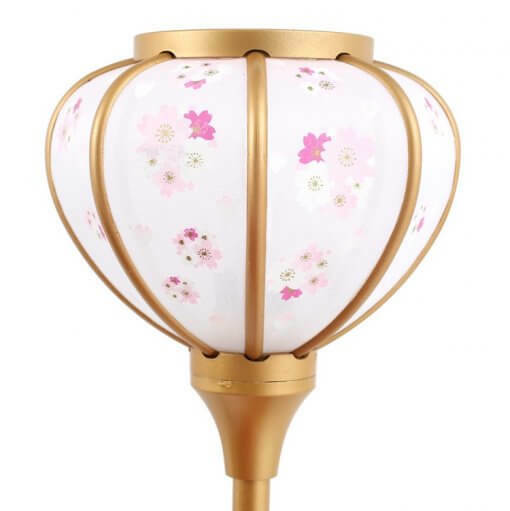 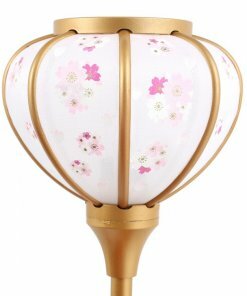 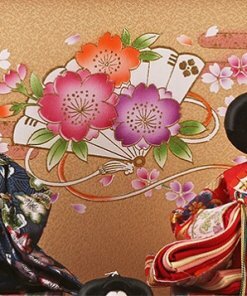 On the backside screen, vivid colored flowersare designed. 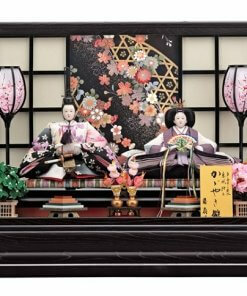 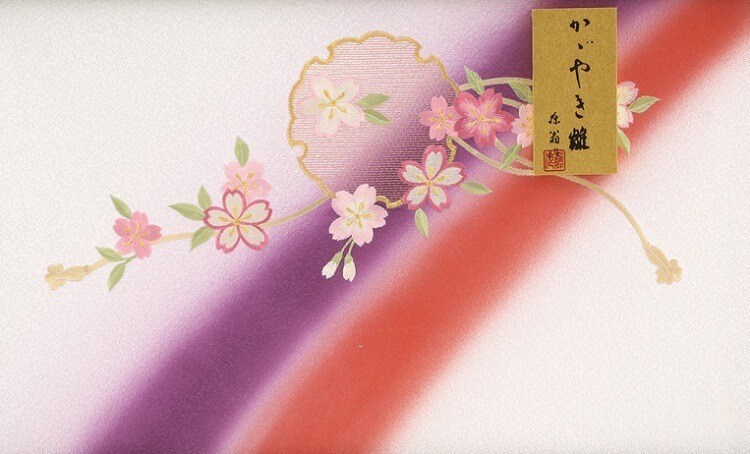 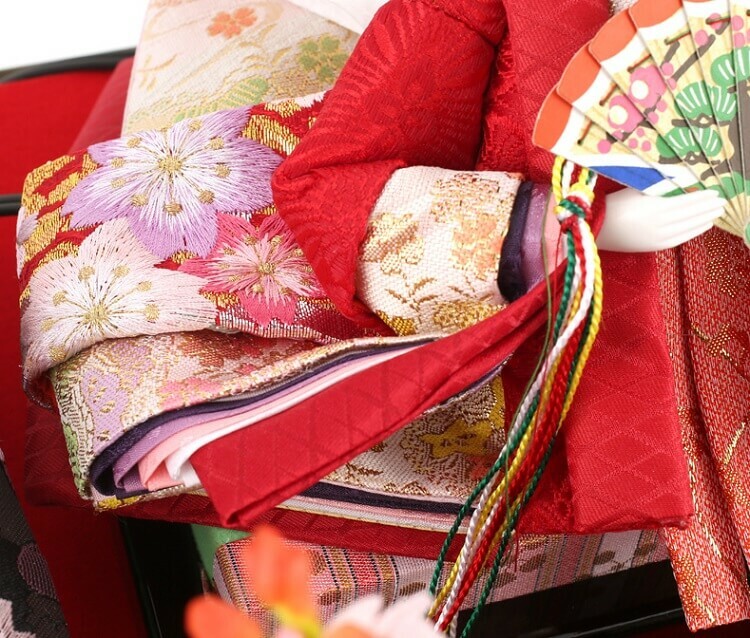 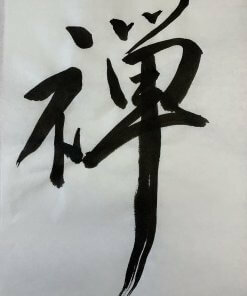 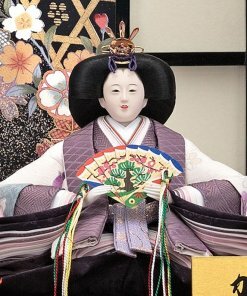 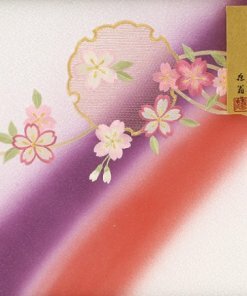 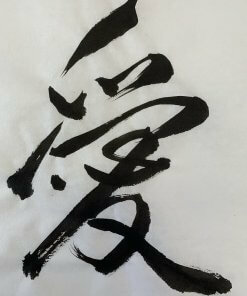 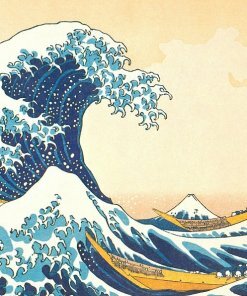 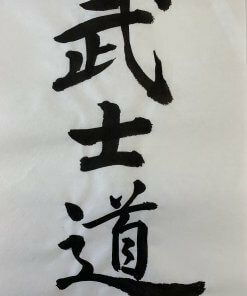 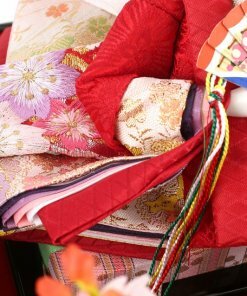 The emperor, empress wear Kimono cloths of Japanese traditional official dress styling. 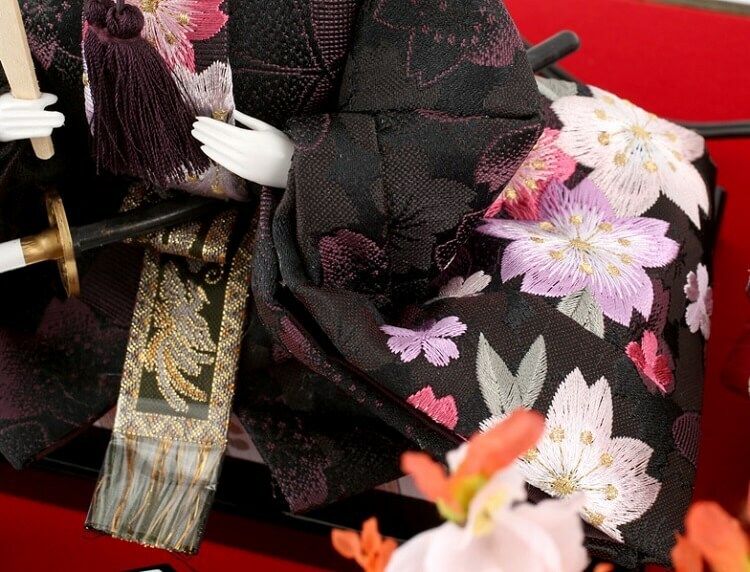 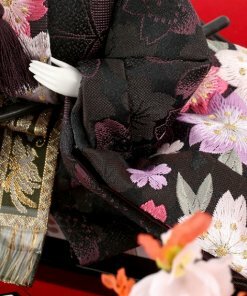 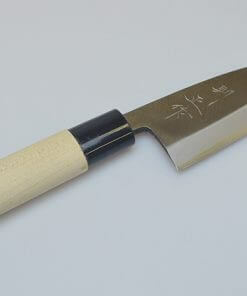 Their Kimono are decorated in sophisticated design by needlework, not printed. 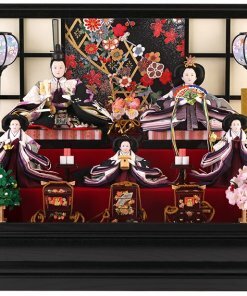 Swarovski crystal stone is used in the tiara of the empress. 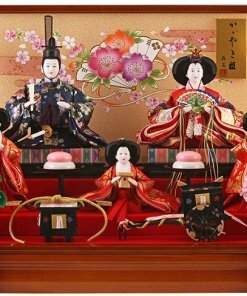 The gorgeous accessories and ornaments decorating their surroundings is made of wood, and some of them have hand painted using traditional painting technique of gold lacquer.